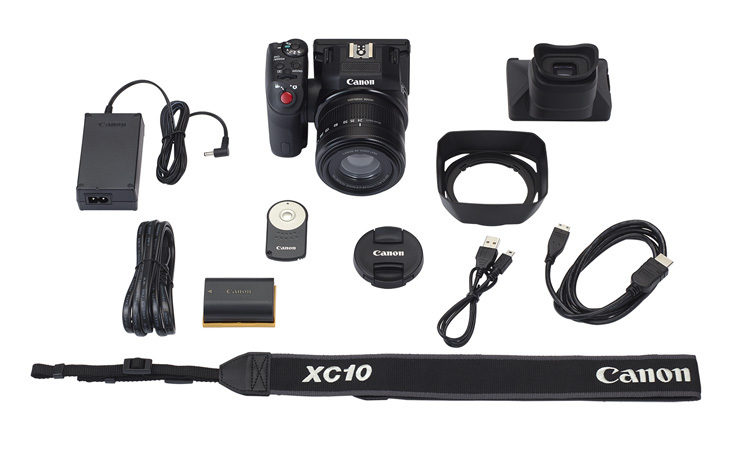 Creative and versatile the XC10 captures stunning 4K/Full HD 4:2:2 video and high quality 12MP stills in a compact, lightweight and easy-to-use camera with a 10x zoom lens, optical image stabilisation and WiFi remote control. The XC10’s large 1.0-inch Canon CMOS sensor is optimised to deliver high-resolution, high-sensitivity, low-noise images when shooting both movies and photos. Beautifully shallow depth-of-field increases your range of creative expression. Enjoy an extensive range of high quality creative shooting options with the highly versatile XF-AVC H.264 codec. Shoot stunning 4K video at up to 305Mbps/4:2:2/8-bit for easy integration into existing 4K workflows or capture high quality, long duration Full HD movies at 50Mbps/4:2:2/8-bit. 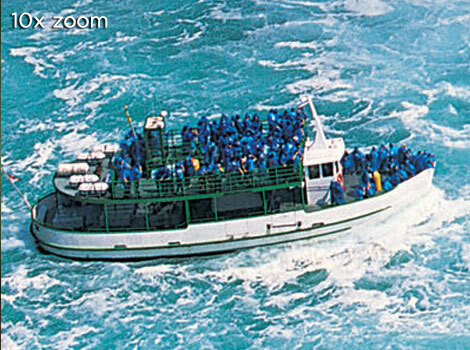 Over Sampling HD Processing is an advanced debayering algorithm for image processing that effectively utilises the abundant powers of 4K image capture in Full HD recording. The camera captures a 4K image, the RGB channels are separated into three individual 8 megapixel 4K signals and the 4K RGB signals are then multiplexed and scaled down internally into a Full HD (1920x1080) signal. This improves the perceived resolution and allows you to record a significantly cleaner Full HD image. For maximum freedom in post-production the built-in Canon Log Gamma captures the maximum range of tones, providing up to 12 stops of Dynamic Range. Widening the Dynamic Range by up to 12 stops enables the extremes of highlight and shadow details to be recorded, thus extending the scope of colour grading. 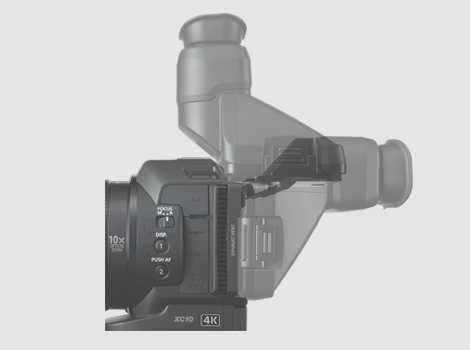 Thanks to using Canon’s DIGIC DV5 processor the XC10 has significantly more processing capability than the previous processor, enabling high bit rate 4K movies to be recorded, together with support for Canon Log Gamma and many other key camera functions. Capture beautiful, high-resolution 12 Megapixel still images with ease and decide how they will appear and be recorded by selecting one of a variety of different ′look′ settings and adjustment functions. You can also extract and save the best frames from a 4K movie by frame grabbing 8.29 Megapixel stills. With its compact body the XC10 allows for easy mounting in small, high and remote places. Weighing just 930g (body only) the camera is ideal for use with drones, for shooting high quality 4K aerial footage, or with lightweight shoulder rigs. The XC10 is fitted with a built-in 10x optical zoom lens – 27.3-273mm f/2.8-5.6 optical zoom lens (35mm equivalent, and in still mode is 25-250mm) – that’s optimised for 4K capture. The lens has separate manual control rings for focus and zoom selection and features a combined optical and electronic image stabilisation system for smooth, steady images when shooting handheld or on the move (electronic image stabilisation is not available in all shooting modes). Record stunning high bit rate 4K movies to an internal CFast 2.0™ memory card benefiting from the VPG130 standard, which guarantees a sustained write speed of at least 130Mbps*. Full HD video and 12-megapixel stills can be recorded to a separate SD memory card. Utilise the abundant powers of 4K image capture in Full HD recording, with higher quality and significantly cleaner results, thanks to Oversampling HD processing. • Canon is an authorised licensee of the CFast 2.0™ trademark, which may be registered in various jurisdictions. 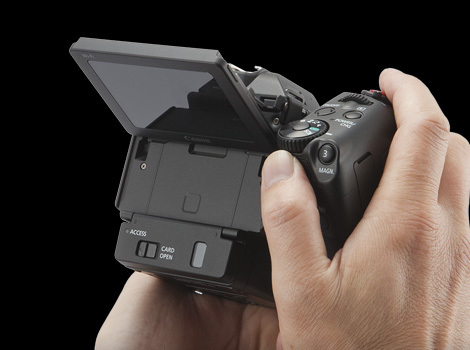 Compact and lightweight the ergonomically designed XC10 features a rotating handgrip and a large, vari angle LCD panel so you can easily shoot from a wide variety of angles. A high quality, capacitive, touch screen allows easy access and control of shooting modes and menus. For more comfortable eye-level shooting, or when shooting in bright light, a loupe viewfinder is included. The newly developed and highly versatile Canon XF-AVC 4K capable file format uses the efficient H.264 codec and is easily integrated into existing workflows, thus further increasing efficiency in post-production. The XC10’s built in Wi-Fi enables you to control the camera remotely via a web browser, smartphone or tablet – it’s ideal for when shooting from a drone or when you’re placing cameras in awkward places. In-depth, expert coverage: discover all you need to know about Canon’s impressive digital camcorder range. Why not apply for membership of CPS? Enjoy expert support and services for your Canon equipment!